Watching my 5 year old son starting out on his lifetime trip supporting United has been terrific fun that has allowed me to reflect on my own early experiences following the Terrors. Since I took him to his first game at Fir Park, when Charlie Miller and Beto Naveda both made their debuts, he has taken to as if it was genetically coded into his very being to support United which, of course, it has. From that beginning he now enjoys his celebrity status as the youngest member of the Glasgow, Lanarkshire and Stirling Arabs and relishes his bus trips to Tannadice to roar on the team supported by Dad, Grandad, Uncle and Cousins. However, what has really caused this reflection is his"Hero Worship" of one Charlie Miller. In his innocent young eyes Charlie can do no wrong. Charlie always beats 4 men with a swivel of his (ample) hips, scores goals at will, wins every tackle, plays every defence splitting pass and, indeed, walks on water! It culminated in him almost wetting himself at McDiarmid Park (phew!!!) when Charlie ran up to where he sat at the front of the main stand to pick up the ball to take the corner. Charlie's very proximity was enough to elevate him to iconic status in my son's eyes. It was a defining moment for a young Arab. It started in a similar way for me as a 10 year old in 1965 with Finn Dossing. He was a Danish centre forward signed by Jerry Kerr in December 1964 and immediately proved himself a prolific goal scorer. Tall, powerful, athletic and fast he scored goals with both feet and his head. His hat trick in the famous Dens Park Massacre of '65 only added to the adulation heaped on him from all Arabs at that time. In my fertile imagination Finn was some God from Greek mythology possessing, as he did, exceptional courage, fortitude, skill and even an air of nobility, such was his commanding presence on a football field. I remember the way he ran - I used to try to emulate his style, particularly when running past Dens Park every day on my way to "The Paulies". To this day I wonder what sort of plonker I looked like jogging along with hands at shoulder level, palms facing straight ahead and elbows pointing to the ground, pretending to have a ball under total control ready to be whacked into the back of an imaginary net at the bottom of Provie Road. I really was Finn Dossing. A particular memory was a goal scored against Dundee - I think it was a Forfarshire Cup Final 1965ish - when he shoulder charged Ally Donaldson, the Dee goalie, into the back of the net for the only goal of the game. Even then, when shoulder charging the keeper was acceptable, it was one helluva thump and we were all amazed when the ref awarded the goal. How we laughed at the way Ally ended up horizontal in his own goal holding frantically onto the ball and then the stunned surprise as he realised what had happened. His reaction may be compared to a full Basil Fawlty rant at a particularly obnoxious hotel guest. Those were the days. The one regret was that Finn never played in the famous 4 - 1 thrashing of Barcelona, United's first ever European tie. What would the score have been had he played? However, typically, he returned for the second leg of the game against Juventus and scored the only goal of the game with an overhead kick at the Shed end. I remember sitting on the track (as all the kids were allowed to do for this and the Barcelona game), just to the side of the goal, watching the great man launch himself backwards to meet the ball perfectly to guide it past the despairing dive of the Juve keeper. What a moment. Sadly, the tie had been lost a few weeks earlier in Turin when we lost 3 -0 without Finn, but on that night Tannadice was the place to be. After a brief spell of 3 years Finn returned to his native Denmark, apparently to run a gents outfitter (wonder if he called it Doss Bros? 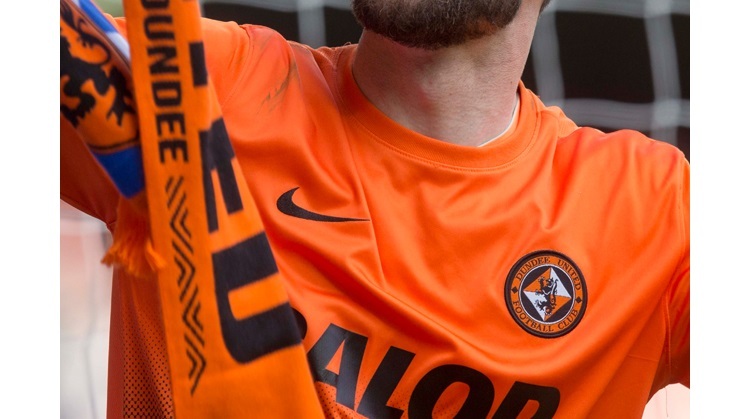 ), but his exploits were rightly etched into the folklore of Dundee United. He is still a hero of mine and many other Arabs of my generation. In fact I remember reading a year or two back that a United supporters club was forming in the Highlands called The Finn Dossing United Supporters Club - I wonder whatever happened to it. Finn will be 77 years old this year, the same age as another hero of mine Bob Dylan, but that's another story.